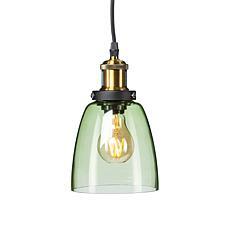 Fill up your mug and settle in to relax under the industrial-chic overhead lighting. No, you're not at your favorite local coffee shop, but when you decorate your space with Southern Enterprises ceiling lights, you'll feel transported to the coolest new spot in town. Host a brunch spread under half-globe glass lights or set an impressive table-scape beneath the warm glow of an Edison bulb, glimpsed through color glass. Meanwhile, light reflecting from the candle-like bulbs of dramatic orb ceiling lights amplifies a rustic rubbed bronze surface. With ceiling lighting in brassy gold and satin chrome, you'll discover an option at HSN to enhance your current decor. 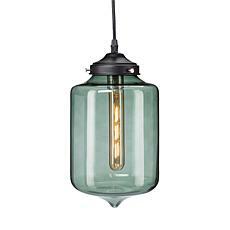 Choose from drum shape lamps concealed within a lace-like wire cage or go for a retro-schoolhouse look with industrial bell lamp lights. If you're seeking a bright and modern look, opt for a double half-globe ceiling light fixture to complement your lamps. 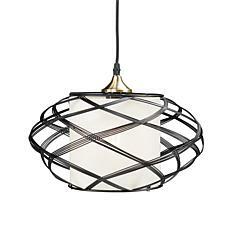 Nautical style lovers will appreciate the texture that a rope-accented chandelier brings to a room. There's a ceiling light design in the HSN collection to satisfy minimalists and maximalists alike from subtle to high-impact style. Whether in the dining room, foyer, or bedroom, add new dimensions of style to your space with ceiling lights from HSN.